The 12 oz. 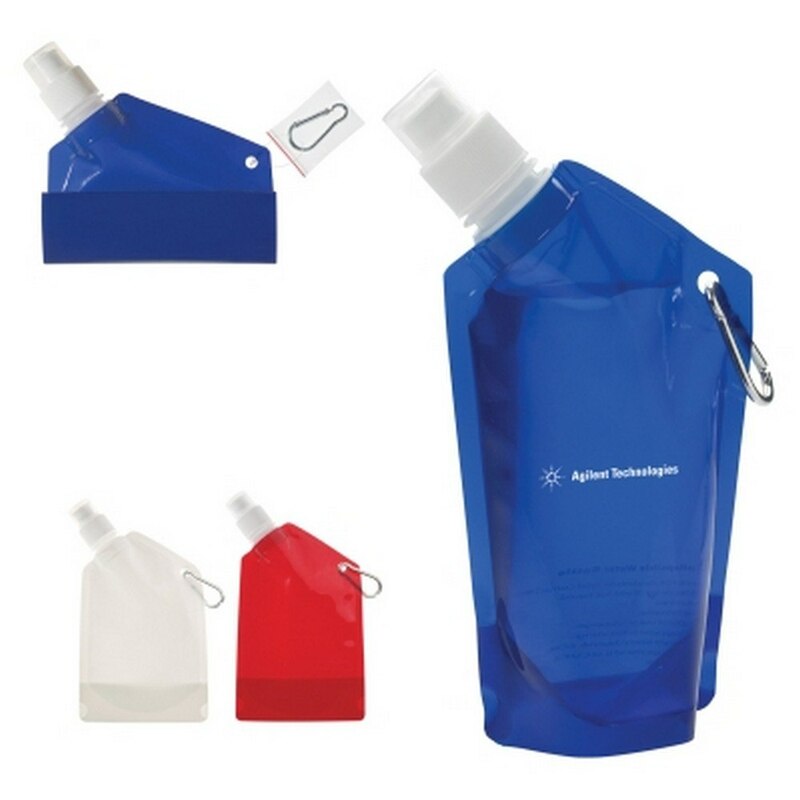 Collapsible Bottle is an easy way to store beverages on the go. Add your company’s logo on the bottle, for cost effective brand promotion. The bottle is made from BPA free aluminum and has a carabiner for easy attachment to bags and belt loops. It collapses flat when empty and expands when filled with liquid. It meets FDA requirements. It has a leak-resistant push/pull lid. The bottle is available in various colors including translucent: blue, red or lime green; solid: white colors. Giveaway the water bottle at gyms, marathons, and other sporting events, to elevate your brand’s image and value.